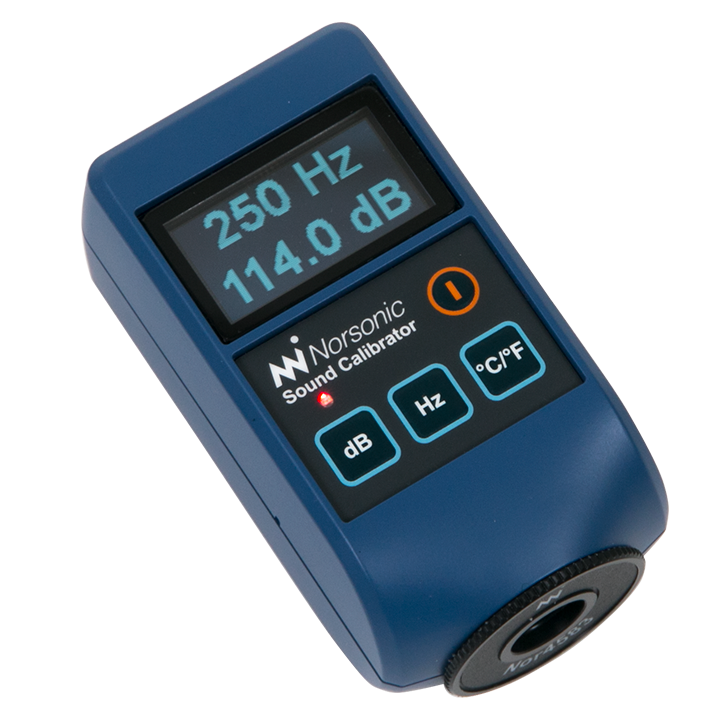 The Norsonic selection of sound calibrators comprises of the Nor1256 and the Nor1251. The Nor1256 is setting a new standard for sound calibrators by offering two levels and frequencies in combination with measurement of ambient temperature, relative humidity and static pressure. The generated sound pressure levels are 94dB and 114dB at 250Hz and 1000Hz. The twin frequencies and levels enables linearity and frequency response check of the microphone and allow a wide range of calibration applications to be covered by a single unit. The Nor1251 is a class 1 calibrator with an output level of 114 dB at 1 kHz. The calibrator accepts full-inch cartridges right away and ½-inch cartridges by means of the included adaptor (Nor1443). 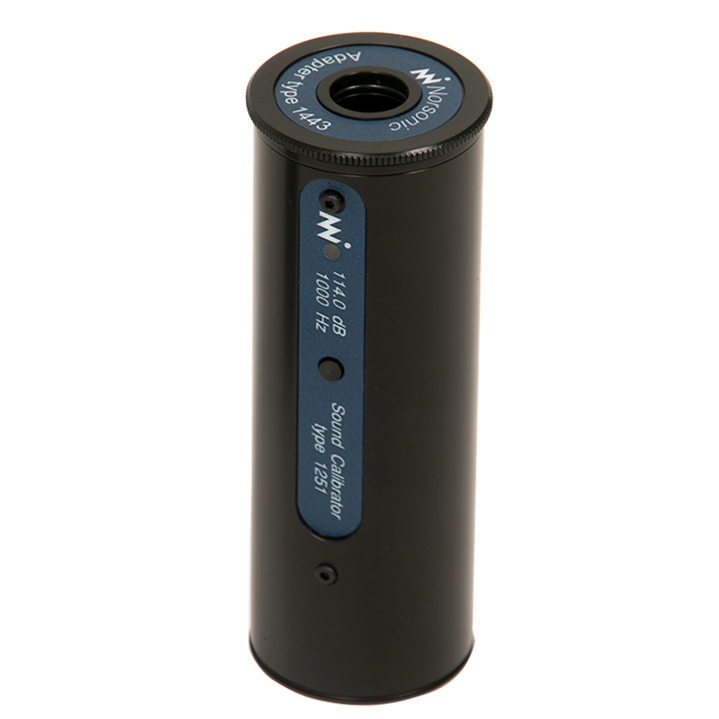 An optional adaptor (the Nor1444) – available separately, permits the use of the calibrator with ¼-inch cartridges.